"GUARDIANS FOR YOUR PROPERTY IN THE SUN"
Unoccupied property is subject to countless concerns and potential damage. WatchDog Services is Sarasota County Florida's premier Home Watching company, combining personal and professional dedication with the convenience and ease of advanced technology. 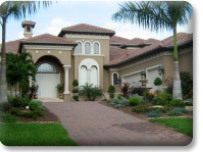 WatchDog Services provides property management and home maintenance services, rental property management, plus a full range of home concierge services for Florida seasonal residents, vacationing homeowners, and realtors. No more worries about pest infestations, mold and mildew, plumbing leaks, air conditioning failures, appliance breakdowns or countless other dangers of unoccupied property---WatchDog is watching for you!! The professionals at WatchDog Services protect your valuable investment with careful on-site supervision. Weekly and bi-weekly on-site visits to your property by qualified inspectors ensure its safety and security and notify you of any current or potential problems before they become serious. Your individual status report is updated each visit and available 24 hours a day on our secure website for your viewing and peace of mind. 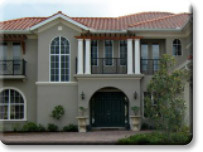 Our professional staff is bonded, licensed and insured. Website Development: Veridean Technology Solutions, LLC.